You are here: Home » Orthodontics » Do you know the difference between a dentist and an orthodontist? Updated on July 29, 2015 By admin Comments Off on Do you know the difference between a dentist and an orthodontist? When it comes to dental care and oral hygiene, many different health care professionals may become involved. Two of the most widely known dental professionals are dentists and orthodontists. Both dentists and orthodontists are medical professionals who specialize in oral health care, but contrary to the beliefs of many people, they are not the same thing. The main similarity is that orthodontists have the same qualifications and can do all the same work as dentists, but not vice versa. Here’s a closer look at what makes all orthodontists dentists, but not all dentists orthodontists and what situations call for the specialized knowledge of a qualified orthodontists. For most people, their primary dental care provider is a general dentist. This is a person that has completed an undergraduate education plus four years of dental school and been awarded either a DDS (doctor of dental surgery) or DMD (doctor of dental medicine) degree. There is no difference between curriculum requirements to earn a DDS or DMD; it is simply what the school chooses to give out. Both degrees qualify general dentists to diagnose and treat overall oral health care needs which includes traditional gum care, root canals, fillings, crowns, veneers, bridges, and preventive education. Orthodontics is a specialized field of dental care that requires additional schooling for dentists to become orthodontists. A general dentist could be roughly compared to a general physician, whereas an orthodontist would be more comparable to a specialist such as dermatologist or cardiologist. 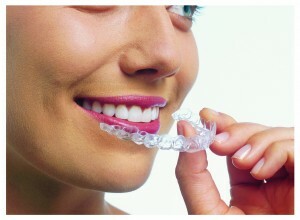 Many people associate orthodontists with braces. That’s because in addition to being qualified to give the oral health care a general dentist administers, orthodontists are further specialized to diagnose, prevent, intercept, and treat malocclusions of teeth and surrounding structures. Malocclusions, or “bad bites”, are caused by crowded, missing, or extra teeth as well as jaw misalignment. Orthodontists help straighten teeth with bands, wires, and braces, along with other corrective appliances and retainers. Both children and adults may seek the aid of an orthodontist to improve their appearance and bite. General teeth and gum care and treatment can be taken care of by a general dentist. This includes things like tooth decay, gum disease, crown, teeth whitening, and root canals, amongst others. If a patient has issues with teeth alignment, a general dentist will recommend they see an orthodontist. Orthodontists commonly deal with alignment issues in teeth, including misaligned teeth, crowded teeth, overbites, and under bites. While some general dentists do have a modicum of orthodontic training, it is far wiser to trust to the additional education and experience of a licensed orthodontist for orthodontic procedures. Orthodontists have years more experience and education to deal with these specialized issues. Not only do they help fixing crooked teeth, they can fix overbites and under bites, take care of teeth spacing issues, and treat temporomandibular disorders (TMD). Trusting an orthodontist mean getting the help of the most qualified and experienced professional.